We deliver retail & we deliver on a promise. We take care of retail fulfillment and logistics so you can forget about the issues of moving product and get down to selling product. 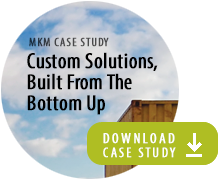 See how a retailer with a slow distribution chain worked with MKM to remove snags and speed up efficiency. 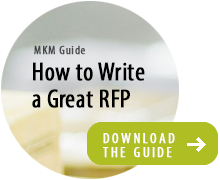 This free template outlines the questions you should ask to find the right 3PL partner for your business. We’ve provided outstanding customer service to retailers for over 35 years. At MKM a promise made is a promise kept. This ideas inspires every person at our family-owned company and every service we offer. We’ve adapted to the ever-changing needs of retail organizations over the last 35 years – from warehousing and distribution to e-commerce fulfillment, transportation, reverse logistics and special projects. Our dedication to service is what makes MKM different. It’s what drives us to adapt to the demands of daily and seasonal volume fluctuations, time-sensitive deliveries and special packaging. Trust that your project is done on time and done right, as promised.